A longtime favorite for session bassists such as Leland Sklar, Charlie Haden, Ron Carter and Jimmy Earl, the Gallien-Krueger MB150S-III/112 remains the industry standard for high quality compact bass amplification in and out of the studio. 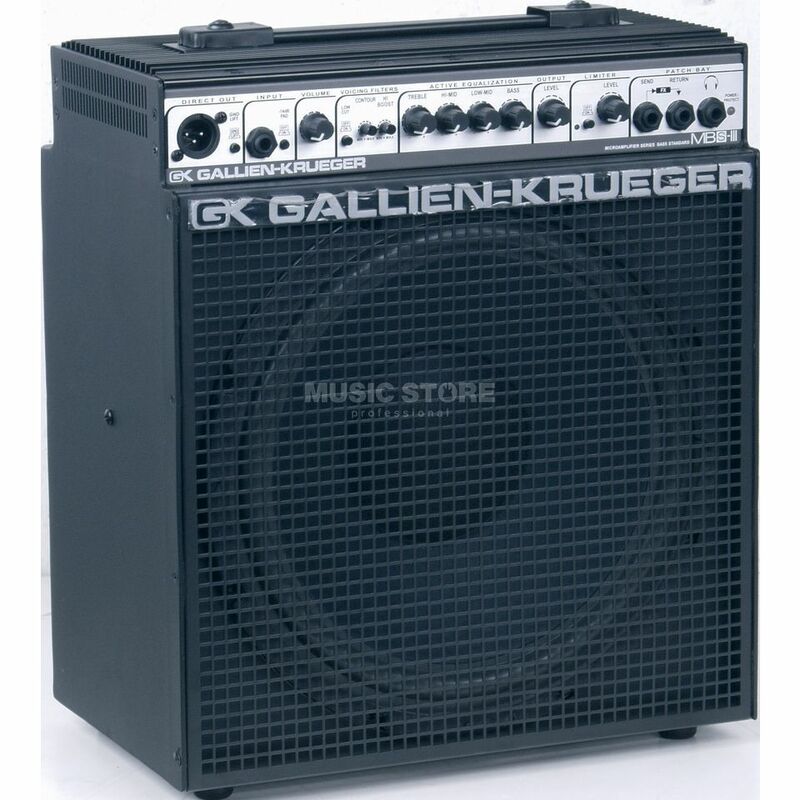 The Gallien-Krueger MB150S-III/112 improves on its predecessor with improved signal to noise ratio (-90dB) and much cooler operation. With its sturdy welded aluminum chassis, the Gallien-Krueger MB150S-III/112 is equally at home on the road, or in the studio. DIRECT OUT: XLR Pre/Left, XLR Post/Right and Ground Lift. PATCHING: Send, Return, Line Out, Aux In and Head Phone. SPEAKER OUTPUT: Two 1/4" jacks and Speaker Switch.